Subject: Is Linn Energy a "Buy" After Another Bear Attack? 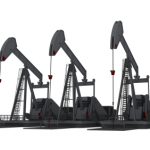 Is Linn Energy a "Buy" After Another Bear Attack? 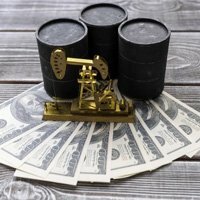 Linn Energy LLC (Nasdaq: LINE) is facing its second bear attack of the year and the catalyst is another Barron's article. As in the first attack, the publication is again questioning Linn's accounting methods and whether the company can maintain its robust dividend, which now stands at 8.3%. The recent slam stated "Linn Energy may be the country's most overpriced large energy producer" and went on to say shares "may be worth less than half of their current quote, based on a range of financial measures, including book value, cash flow, and the value of energy reserves." Barron's initially questioned how Linn accounts for its hedging of gas and oil prices in a Feb. 18 article. While those concerns still remain, Barron's now addresses a concern with Linn's core business, flattening energy production. In the first quarter, Linn had total energy production averaging 796 million cubic feet per day, below the 800 million cubic feet a day in the fourth quarter of 2012 and up only 1.8% from last year's third-quarter production of 782 million cubic feet. However, Linn recently announced a deal to acquire oil company Berry Petroleum Co. (NYSE: BRY), which gives Linn a better balance of oil and natural gas reserves. That deal is expected to close later this year and when it does, Linn expects to raise its quarterly dividend from 72.5 cents to 77 cents. Linn is the eighth-biggest master limited partnership in the U.S., and the largest energy producer structured as an MLP. Retail investors have flocked to Linn and especially its counterpart, LinnCo LLC (Nasdaq: LNCO), which was created to buy LINE stock and offer investors interested in LINE the tax benefits of an MLP without the extra tax work associated with owning one. Since it started trading last October, LNCO, which pays a 7.5% dividend, had been up 12% before LINE's recent slide. So after the recent selloff, are high-paying dividend stocks LINE and therefore LNCO "Buys," or stocks to avoid?